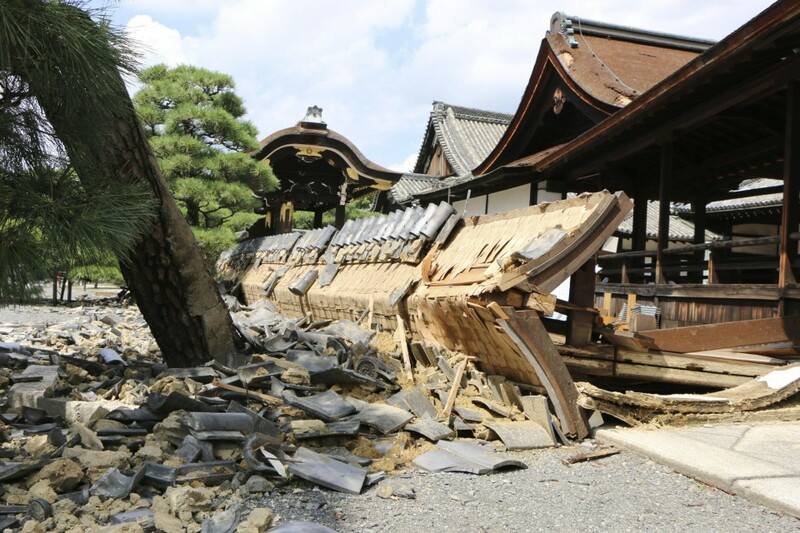 Businesses in western Japan were reeling Wednesday from the impact of a powerful typhoon that devastated the area the previous day, causing disruptions to supply chains, stores and tourism operations. Manufacturers scrambled to find transportation alternatives as Kansai International Airport remains closed after a runway and the basement floor of a terminal building were flooded Tuesday by Typhoon Jebi, and a bridge connecting the airport on a manmade island in Osaka Bay to the mainland was severely damaged. Airport officials said Wednesday it may remain closed for around a week. Kansai International Airport is a major hub for shipping cargo overseas, with 5.64 trillion yen ($50 billion) in products shipped overseas from the airport last year, including 1.29 trillion yen in electronic components. Rohm Co., which usually exports chips from the airport, is considering exporting them from Narita outside Tokyo and other airports. Other electronic component makers headquartered in western Japan such as Kyocera Corp., Panasonic Corp. and Murata Manufacturing Co. are also considering exporting electronic parts from other airports. The shutdown of the airport also caused travel agencies to suspend some operations. 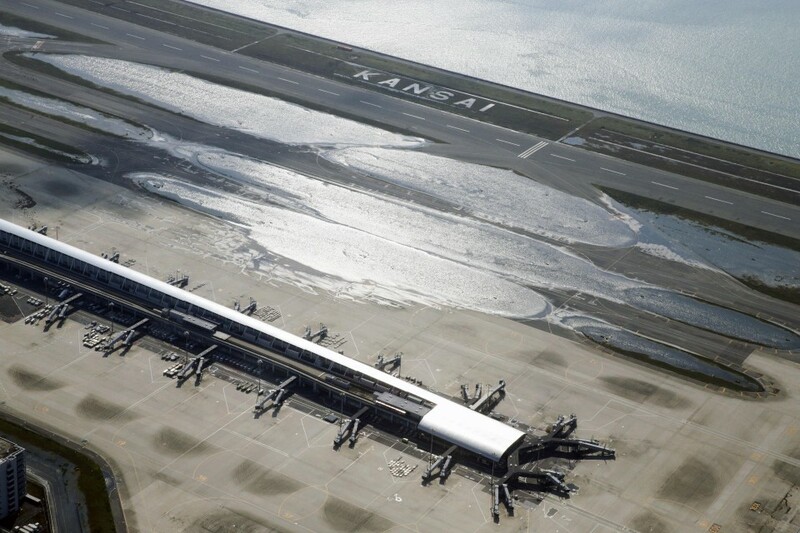 "The impact of the closure of the (Kansai) airport is big," a KNT Kansai official said. Popular Osaka amusement park Universal Studios Japan also remained closed Wednesday -- the first time it's been closed for two consecutive days since it opened in March 2001 -- as the park operator worked to repair damaged caused by the storm. The theme park will reopen on Thursday. Power outages in the aftermath of the typhoon also forced retailers and restaurant chains to close many outlets. At one point, convenience store chains Lawson Inc. and FamilyMart Co. had shut 300 and 230 stores respectively due to power blackouts. Beef bowl chain Yoshinoya Co. also temporarily suspended operations at some 40 restaurants in Osaka and Hyogo prefectures. Department store operator Takashimaya Co. closed an outlet in the city of Kyoto after some windows were broken.